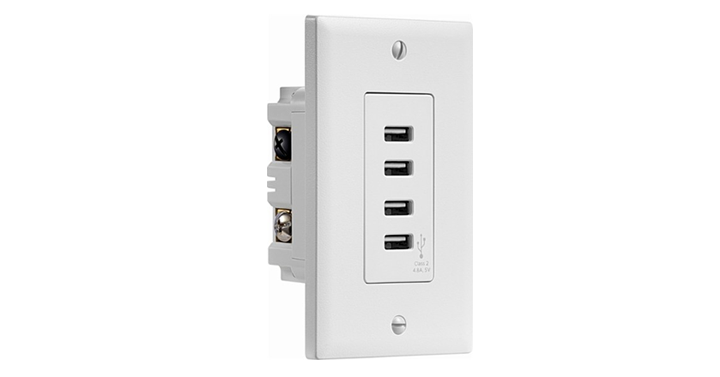 Insignia 4.8A 4-Port USB Charger Wall Outlet – Just $8.99! No more lost chargers! Need a great place to charge all of your devices? Have you thought about putting these new outlets in your house? We changed a few of our outlets to these and I love it! So easy to charge all of the devices we have! How about this deal? This is a really great price! Get on over to Best Buy and check out the deal on the Insignia 4.8A 4-Port USB Charger Wall Outlet! Just $9.99 – today only!